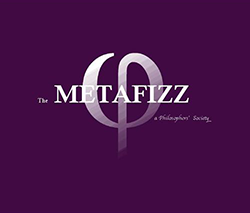 The Metaphysical Society (Metafizz) is Trinity's real philosophy society whose purpose is to allow students to discuss philosophical issues in an informal setting. The Metafizz hosts a paper given by a distinguished philosopher or student each week during the academic year, followed by a discussion, and a trip to the pub. The Society also organises daytime discussion groups (usually weekly) and occasional film nights. The Metafizz has published a number of undergraduate philosophy journals and usually holds an annual symposium. Membership is open to anyone afiliated with the College - undergraduates, postgraduates and staff alike - and can be obtained at any meeting of the Society, or during freshers' week. The Society maintains its own ever-growing library of philosophical texts, which the members are welcome to borrow. This can prove to be a very useful resource as the Trinity library's holdings, especially around essay submission and exam time, can become overstretched. For up-to-date information and contact details please visit the Facebook page (external). There is also a noticeboard just outside the philosophy office (room 5009). The society was founded in 1929 under the guidance of A.A. Luce. In its early years the members read papers to the society for the purpose of receiving feedback from their peers. The society's activities also included debates, discussions and question times. The last were panel discussions on topics of philosophical interest, such as 'Is the rose red in the dark? '; or 'Is philosophy the talk of idle old men, or ignorant youth?' Guest speakers were also invited, and the society was addressed by such eminent figures as C.E.M. Joad, Erwin Schrödinger, Gilbert Ryle, J.L. Austin, John Mackie, Anthony Flew and Bernard Williams. Academic gowns were compulsory at meetings, but the proceedings could not have been excessively formal, as one early report on the society's activities tells us that the society purchased 'a liberal supply of the best Donegal poitín'. The society seems to have been less active in the 1980s and early 1990s, but it underwent something of a renaissance from 1997 onwards. A new addition to the society's activities was the philosophy café. The members of the society met once a week, or so, to discuss a topic of philosophical interest, which was briefly introduced by one person. Some recent topics include: 'Good God, or God awful: the relationship between religion and morality'; 'The mind's 'I': the nature of personal identity' and 'Me, myself, and I: egoism and altruism'. By this time the society no longer supplied poitín, coffee and wine had become the refreshments of choice. Guest speakers to the society during this period included: the philosopher Robert Solomon, and the physicist Julian Barbour. The society also organised excursions to places of philosophical interest such as Thomastown, Co. Kilkenny, the birthplace of George Berkeley, and Wittgenstein's cottage in Galway. The Metafizz convenes every Tuesday at 7:30pm during the academic year to hear a guest philosopher speak on a particular topic. Recent guests of the Society include: Professor Volker Halbach (Oxford University), Dr. Hallvard Lillehammer (Cambridge University), Robert Miller (TCD alumnus and former Metafizz member), Tom Whyman (University of Essex), Professor Dermot Moran (UCD), Dr. Joseph Diekemper (Queen's University Belfast), Professor Gerard Casey (UCD), Dr. Eddie Hyland (TCD), Dr. Niall Connolly (TCD), Gwendolin Murphy (TCD), Dr. Georg Urich (TCD), Dr. Mahon O'Brien (UCD), Dr. Joachim Aufderheide (King's College London), Professor Robin Le Poidevin (University of Leeds), and Professor David Papineau (King's College London). As well as having weekly papers delivered by prominent speakers, the Society holds weekly discussion groups, typically hosted on Wednesdays. This is an chance for students to engage with philosophical problems and learn from one another in a relaxed environment. The Metafizz promotes enhanced student interconnectivity primarily through organising joint society events. The Society has held two events with the Politics Society on topics related to political theory/ideology; an event with the Food and Drink Society on taste, smell and perception; a debate with the Phil and Psychological Society on the Existence/Inexistence of the Self; and a debate with the Theological Society on whether or not God is Necessary for Morality. Throughout the year the Society has worked in conjunction with TFM to ensure that many of these events are available to a wider audience by broadcasting a number of talks live and uploading them, as podcasts, to the Society's Facebook page.